Sweet Annie's very first herbal formula! It has provided relief to thousands of sufferers with arthritis and rheumatism for the past 25 years. This combination of over 25 herbs is based on nutrition and contains the vitamins, minerals, and protein necessary to slow down the progression of these degenerative diseases. 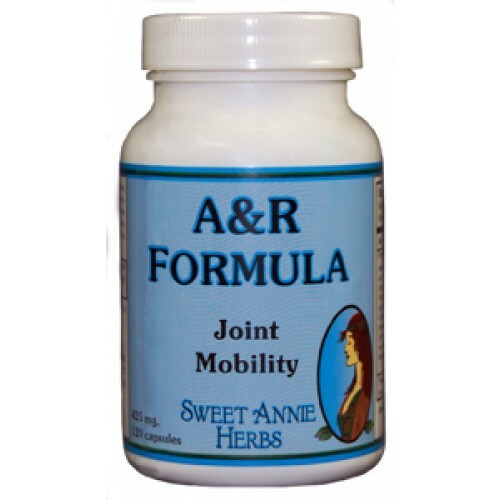 The herbs in A&R Formula are excellent sources of natural cortisone. Propolis helps provide relief from the pain associated with the inflammation and swelling. Helps arthritis of any type, has no side effects, and works in a natural way.